Do You Ever Worry Your Training Will Be Enough if you are Attacked on the Streets? I May Just Have the Solution for You! My name is Art Mason and I am a 35 year martial arts student, and school owner. Have you ever been worried walking down the street about just how effective your training may be if it was needed? Now I am not talking about a fight, something you can walk away from. I am talking about the guy who wants to rob you, or worse yet KILL YOU. Perhaps you will be with a loved one when someone attacks and you know you have to deal with this quickly as to protect them? Let’s face it, the odds are it is going to happen! I have had it happen 2 times in my life! But there is a great equalizer! That is adding “pressure point” study to our existing training. As your progress in Kyusho things like age, size, stamina and injury count less and less! I have been teaching pressure points / kyusho jitsu for about 15 years to police and military people and they all agree. This knowledge is what made the difference for them! 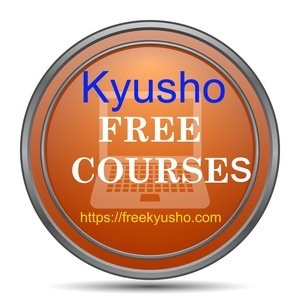 So today I am offer a GREAT opportunity to get our Kyusho Jitsu Basics Knockout Mini Course for an incredible price! So what is doing Pressure Point knockouts all about? It is effecting the neurological systems of the body and causing the brain to reboot. In other words FAST and EFFECTIVE knockouts! will TEACH you to do! Watch this 1.5 minute video! You get a total of 10 different videos explaining the process! After purchase you will receive an email link with your login information for this site to download your videos!